What does a professional legal blog look like? While we cover criminal defense, divorce, immigration, and personal injury elsewhere in this blog, here’s an example of an evergreen blog post for a hypothetical DUI defense attorney based in rural Vermont, who targets lower income clients. The post discusses a commonly overlooked aspect of a DUI situation – insurance. Like most other states, Vermont requires you to have at least some car insurance before you drive on the state’s roads. 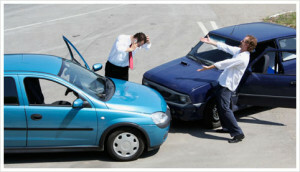 They just want to make sure that anyone injured in a car accident gets the help they need. Requiring drivers to have car insurance prevents the situation where someone gets seriously hurt in an accident caused by an uninsured driver, leaving the injured person with the medical bills. By requiring car insurance, Vermont is making sure that the costs of the accident can be covered by someone with deep pockets – the insurance company. How Much Car Insurance Do You Need in Vermont? These are just minimums, though. Many people decide to have more car insurance, so they can count on being completed covered if there’s an accident and they get hurt. If you’ve been convicted in Vermont for driving under the influence (DUI), your license gets suspended. When your suspension ends, however, there are still a few steps you’ll have to go through before you can get your license back and hit the road. One of these steps is proving that you have the minimum amount of car insurance, required by Vermont. To prove that you have enough insurance, you’ll have to get an SR-22 form. The “SR” stands for “safety responsibility.” These forms are only meant to show that you have insurance – they don’t give you insurance, themselves. To get an SR-22 form, you’ll have to talk to your insurance company so they can send you one. Once you’ve requested the form, paid the fee, and the form has been processed, your insurance company will send it to the Commissioner of the Department of Motor Vehicles (DMV). It can take up to 30 days for all of this to happen. If your request gets approved, you’ll get the SR-22 form in the mail, along with a letter from the DMV Commissioner. If you need an SR-22, then you’ll likely see your insurance payments rise. This is because your insurance company has noticed that you have a DUI on your record, and now sees you as a higher risk driver. Despite the higher fees, you’ll need to keep SR-22 insurance for 3 years, and if you miss a payment, your license will be suspended, again. Facing a DUI charge in Vermont is difficult. Getting convicted is painful, and can be expensive, too. Even if you’ve already been convicted for DUI, there are still times when it’s important to have a DUI defense attorney on your side. Failing to take the proper steps to get your SR-22 can lead to serious repercussions. Call our law office or contact us online, so we can help you through the process. This post ranks well for search engine optimization for not only “vermont dui defense attorney,” but also for more particular searches, called “long tail searches,” about SR-22 insurance requirements. It’s written in basic language, chosen specifically to appeal to the targeted lower income clientele, who will also more likely be at a lower reading level. It also takes a conceptual topic – insurance – and makes it simple to understand by mentioning the policy behind it, so it’s easy to see what’s really going on. With Myers Freelance, this is what you can expect on your legal blog, without having to spend the hours researching and writing it. Get in touch with us today, so we can start building your legal blog. This entry was posted in Legal Blog Writing and tagged Blog Samples, Writing Tips. Bookmark the permalink.